A new Summoning Focus is now live. It’s called “New Power” and it features 5 star versions of Corrin (Fateful Prince), Clair (Highborn Flier), and Camilla (Bewitching Beauty). 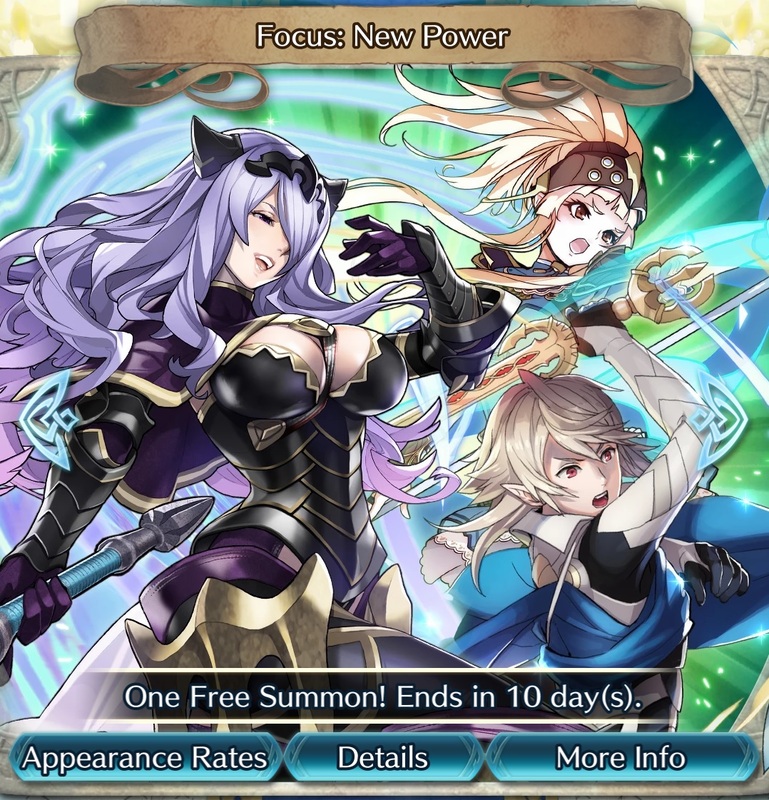 This summoning focus will be available until May 27th.